A few weekends ago I ventured into the attic to retrieve a suitcase (because I’m going on an epic adventure that I promise to tell you all about soonish) and I discovered a box of CDs, old as time. Well, not time, but you know essentially ancient. This box of CDs was like jumping head first into a stream of memories and getting completely swallowed up. Now I remember why I’d put them away, the feels were too great. Finding new music was not an easy task when I was younger, it felt like work and each new remix (or refix as we liked to say – I was a cool kid) was like a new treasure to be hoarded and shared alike which is why I find it so hard to throw away all these CDs, even though I haven’t listened to them for years. I remember the countless hours spent listening to the radio, rushing to press record on my favourite song. The lazy summer days spent indoors waiting for a music video to appear on the music channels, back when MTV music video premiers meant something. *sigh* This isn’t a nostalgia post, I promise! Just giving you a background on my musical discovery experiences. Enter Google Play Music. I bought a subscription during a sale they were having, and I haven’t looked back since. There are lots of quirks that I don’t like. Like how it doesn’t sync my number of plays across platforms, and how sometimes it’ll just not cache what I’ve been listening to so when I lose reception I have no music *sob*. What I do love is how much it has improved in the months I’ve had it. It used to be that Play Music would get a song weeks after iTunes and Spotify, but availability has really improved and now it’s same day in a lot of cases. But the best part, it’s taken the hard work from finding new music or music you’d like to listen to. I know I talked about it fondly not two paragraphs ago, but the truth is that it was frustrating! Listening to the radio, only to have the DJ play a klaxon over the last 10 seconds (it was a thing), or scratching your CD making the whole thing inoperable, or worse, someone taping over your favourite song! Sometimes (okay, more than sometimes) I have no idea what I want, so I appreciate these day/time/occasion playlists that they create! More than often I can describe my musical desires based on my mood rather than genre, so this is much welcomed. As are the suggestions “if you liked artist x you’ll like artist y”, not all of them pan out of course, but I find more good music than duds this way. I’ve tried other services, but I think because I have an Android phone, and because it’s reasonably priced and easy to use that I’ve just stuck with it. 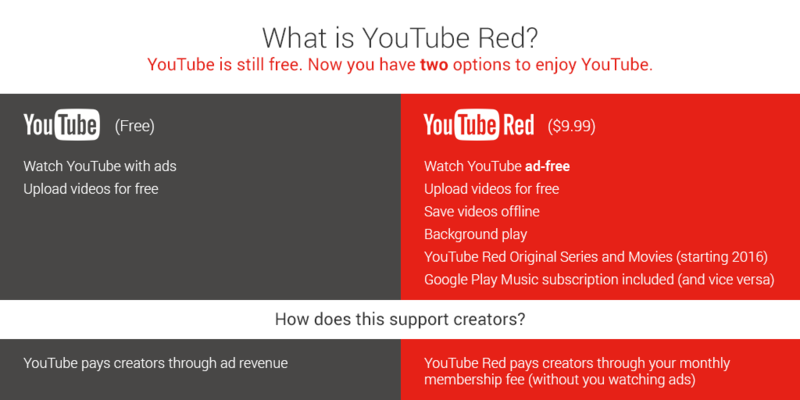 Now, let’s hope YouTube Red hurries up and comes to the UK, so that I can get more bang for my buck. By buck, I mean £. I’m using Spotify at the moment because I get half off Premium! Score!. Yay for discounts! I had 3 months for £1 and then bought a few months for £5.. keeping my eyes open for more discounts! My playlist is really whatever Google Auto generates for me! I tend to do that, find a song I really like then hit, “play radio” and it creates a playlist of similar songs. Big fan of that! Other than that I’m kpoptrash right now. So Red Velvet, BlackPink. I’ve yet to listen to 2PM’s new song. I’ll do that in the privacy of my home..
HOW DARE YOU CALL IT KPOPTRASH. I’ve yet to listen to 2PM’s song too. I won’t be surprised if it’s about getting drunk and partying because that’s 90% of all their songs. It’s not kpoptrash, I’m kpoptrash. It’s probably about sexin’. That’s the other 10%.